As some of you know, I am a major gamer. When I’m not working on a book or on Budget Earth, I am happily playing video games with my husband. Even though I enjoy console games, I have a hard time adjusting sometimes since I am mostly a computer gamer. I much prefer playing games with a keyboard and mouse since they give me more control over the game. With many new awesome games coming out lately, like Titanfall and Dark Souls 2, I have been cringing a bit, knowing I will have to force myself to play them on the PS3 or Xbox 360 with all the imprecise movement and aiming those controllers bring along for the ride. While we were getting ready to order our games, we were approached by IOGEAR, asking we would like to review their KeyMander Controller Emulator. Intrigued with the product, my husband and I couldn’t wait to test out this product! Are you an avid computer gamer who wishes you could bring your keyboard and mouse over to your favorite console? 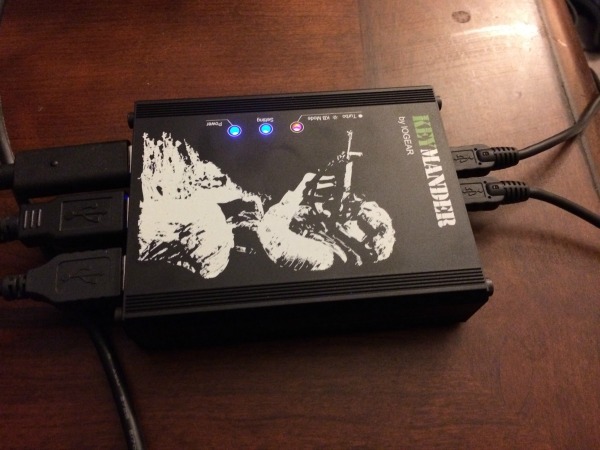 If so, we think you will love the IOGEAR KeyMander Controller Emulator. 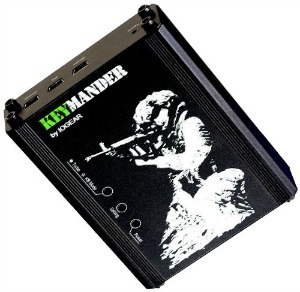 With this innovative emulator, you can change your entire gaming experience by connecting your keyboards and mouse to the Keymander, making your gaming experience even better. As many avid gamers will tell you, you have more control over your gaming experience on a keyboard since you can set macros, change the layout of your buttons, and adjust the game to your own personal specifications through profiles. This is one of the reasons why FPS (first person shooters) are even better on a PC. With the IOGEAR KeyMander Controller Emulator, you turn you get the best of both worlds – beautiful graphics on a large television screen, and the full maneuverability that comes with a PC. In other words, you have the advantage when playing against online opponents and have a much better gaming experience. As a household of gamers, especially computer games, I couldn’t wait to test out the IOGEAR KeyMander. While my husband and I don’t have any issues with the consoles (obviously, since we have several), we usually prefer computer games because we know we have more control with a keyboard and mouse for the majority of games. I can easily say that the KeyMander may have very well turned our world upside down. To test out the emulator, we popped Chromehounds into our Xbox (a game my husband loves but has lamented the control scheme for) and hooked up our spare keyboard and mouse. I personally was expecting we were going to have to do quite a bit of configurations, but to my surprise, everything started working beautifully out of the box, provided you follow the directions exactly (my husband made the mistake of starting up the Xbox before it was plugged in, which took him a little bit to figure out). The control layout on the keyboard feels pretty natural, and the only two things we eventually did adjust were the mouse sensitivity, and moving one of the default keys (which is very easy with the customization software provided) and after that, it felt like we were sitting in front of a computer, playing on a gorgeous 47″ 1080p screen. To say that it improved our gaming experience is an understatement. I will honestly say it feels almost like cheating having the KeyMander on a console FPS, since you know everyone else is going to be using a controller. If you are a serious gamer, I don’t think I could recommend this accessory enough. Based on our own experience, my husband and I are delighted to give the IOGEAR KeyMander Controller Emultator an A+ rating! Want to know where you can purchase this awesome emulator? You can buy the IOGEAR KeyMander Controller Emulator on the IOGEAR store or Amazon. This awesome controller emulator ensures you will never be frustrated by a traditional controller again! This is cool, being able to use a keyboard & mouse on a console instead of the regular controller. My son is the gamer in our house. He’s 13 and has a Wii (not really used), 3DS, PSP, XBox 360, PS/3, XBox One, PS/4 and an AMD FX-8350 based PC that I built for him. He is really used to using the controllers, but I think if he would get used to playing a lot of his games, especially the FPS games like Call of Duty series on the PC, he would like the keyboard better. Thanks for the info. I have a nephew who LOVES gaming. I bet he would love this. Will consider for b-day gift! This sounds really nice, I bet my husband would love this. 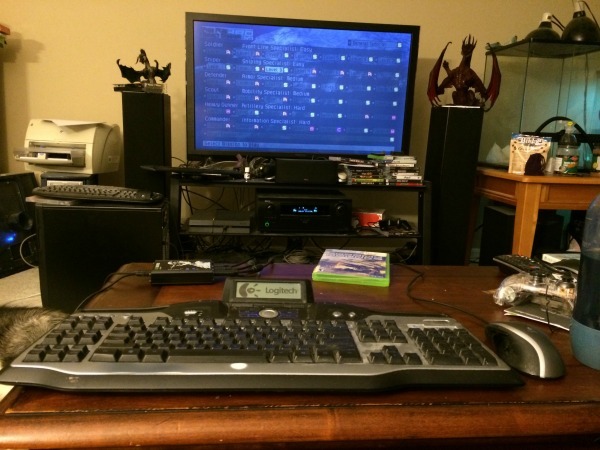 There are 3 avid gamers in our house – Hubby and my two teen sons. I am sure they would totally love this.